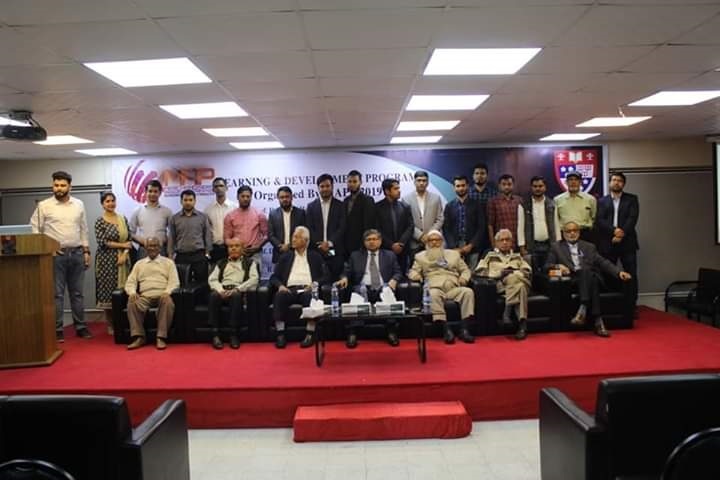 The Department of Textile Engineering of Primeasia University organized a seminar on the Textile graduates enlightened the textile sectors for several years and their engagements in merchandising on Sunday January 27, 2019 at the IQAC Conference Center at its University Banani, Dhaka. The Merchandisers Association of Primeasia (MAP) introduced first LDP (Learning and Development Program) for running students as its first step from MAP. Prof. Dr. Abdul Hannan Chowdhury, Vice chancellor of Primeasia University has graced the program as the Chief guest while Prof. M. A. Khaleq, Chairman, Dept. of Textile Engineering presided over the program. in the event, Mr. Abul Kashem Molla, Registrar and Prof. Dr. Md. Hasanuzzaman Dean, School of Engineering from the University was present as a Special Guests. Among others, Mr. Khaled Hosen,HR Manager and Tasmia Islam, HR officer from KIABI International Supply Services Ltd. were the keynote speakers in event. Members of MAP and all other faculty members from the department took part in the program. The program was hosted by Md. Moynul Hassan Shibly, Lecturer of Textile Engineering department of the University. The main aspect of this association is to gather those people who has completed graduation from Primeasia University and now involve in merchandising and also who are eager to enter in merchandising field. According to MAP theme is to focus on “Learning and Development Program 2019”. The members of MAP discussed on numerous issues which are very important for freshers in the job sectors. One of speakers briefly mentioned about how to develop a resume. He told that resume is the thing that creates the first impression about somebody. Other speakers told about the interview techniques, basic merchandising, team work and leadership skill and how to survive in the job field individually. KIABI, a successful retail industry offered job opportunity and internship opportunity for upcoming graduates. They conducted workshop about how to get prepared for any interview. They discussed key points about a job interview that are basically noticed by the recruiters. Prof. Dr. Abdul Hannan Chowdhury appreciated the initiative taken by MAP. He proposed to arrange this type of program frequently and he assured that Primeasia will always be with them in such programs. Prof. M.A. Khaleq welcomed all the members of MAP for arranging such a valuable program. He said that this initiative will be very much helpful for future graduates and will create a strong connectivity among all the Primeasians. Merchandisers Association of Primeasia (MAP) decided to conduct this type of knowledge sharing program in every semester. This program was very much informative for the upcoming freshers. This type of program will help to boost up the confidence of the students and get pluck to meet the challenges in the job field.